Medical ethicists have questioned the use of no-treatment (placebo and sham procedure) controlled studies of new therapies when safe and effective standard therapies are available for use as an active or “equivalence” control. Current ethical principles of conduct for biomedical research specifically prohibit designs that withhold or deny “the best proven diagnostic and therapeutic” treatment to any participant in a clinical study, including those individuals who consent to randomization into a control group. Studies of psychophysiological therapies are often criticized on the grounds they lack a placebo or sham treatment control group. This paper briefly reviews the history of the problem and discusses the ethical standards that govern human research as derived from the Nuremberg Code and the Declaration of Helsinki. 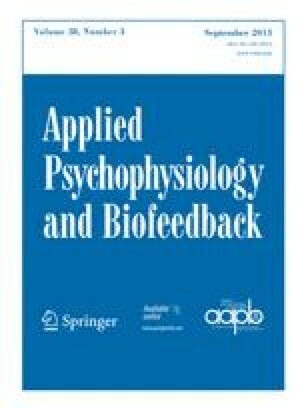 An examination of the problem with regard to research involving EEG biofeedback therapy for Attention-Deficit/Hyperactivity Disorder, Traumatic Brain Injury, and depression serves to highlight the issues. It is concluded that the active treatment control (treatment equivalence) design is most appropriate for those clinical studies examining disorders for which there is a known, effective treatment. Sham- or placebo-controlled studies are ethically acceptable for those disorders for which no effective treatment is available.